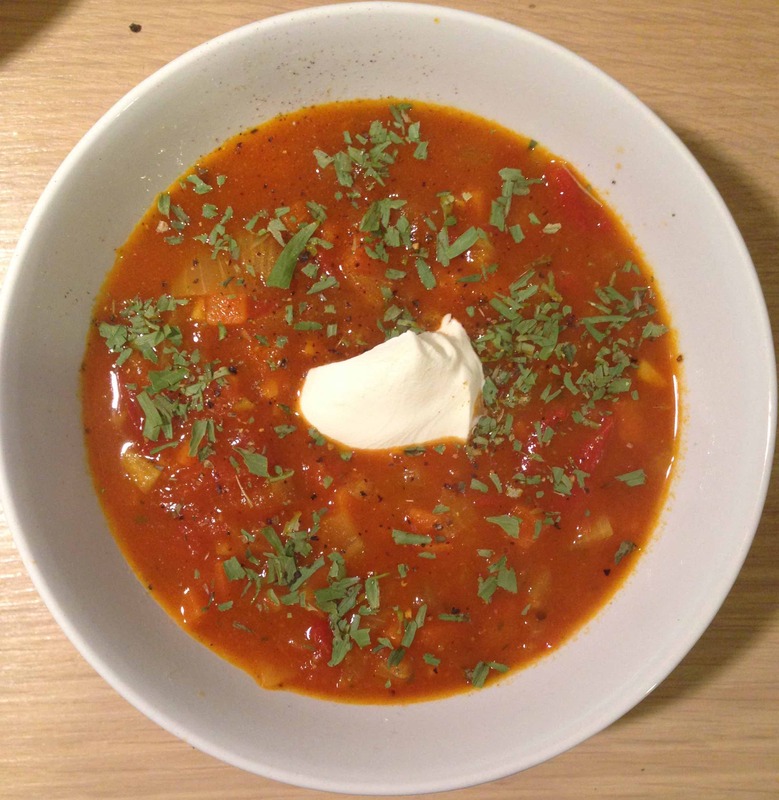 I invented this recipe after playing around with a few blog posts I found on tomato soups. I like that it’s neither too spicy nor too sweet, but both characteristics are very present in the taste. It’s easy and fast to prepare - a perfect soup for a winter evening. If you like wine, then a strong red is the perfect companion. If you don’t have vegetable broth on hand, you can substitute it with a bouillon cube. The procedure is the same.